I'd gotten some okra, planning to make some Fried Okra. Then I got back and didn't feel like frying the okra. What to do? 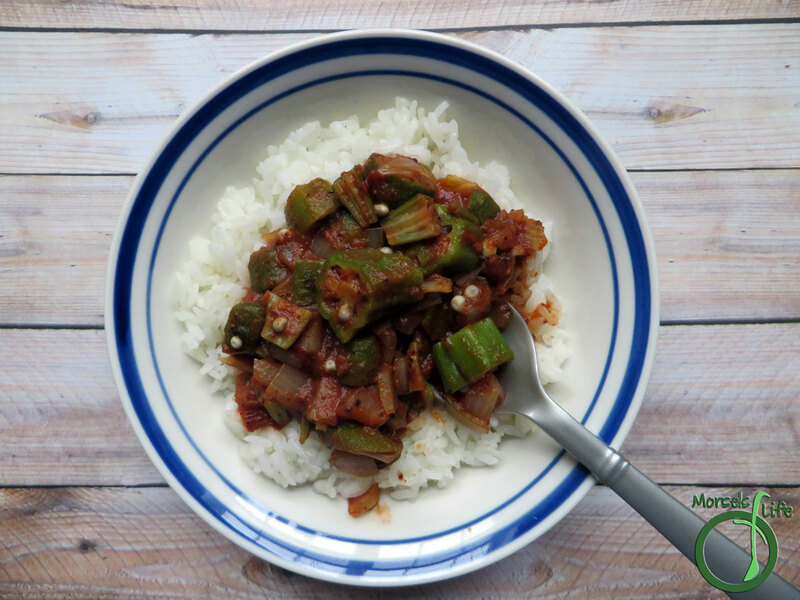 I looked around at what materials I had around and decided to make some Spanish Okra. I know okra's got a reputation for having a slimy goo when cooked. It's useful for thickening up dishes, but James likes to avoid the slimy feeling. 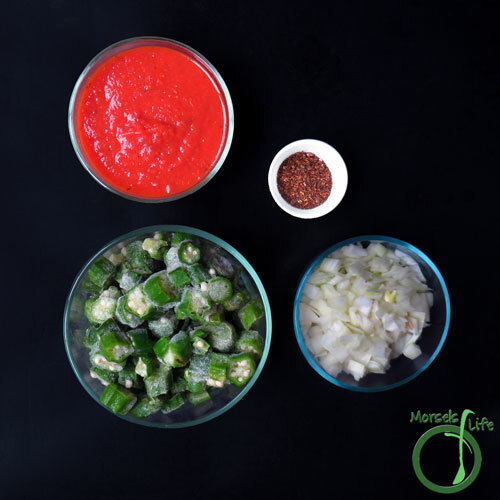 Slicing the okra into small pieces, cooking with higher heat, and cooking alongside acidic ingredients all help decrease the goo, and they're all methods used in this recipe! 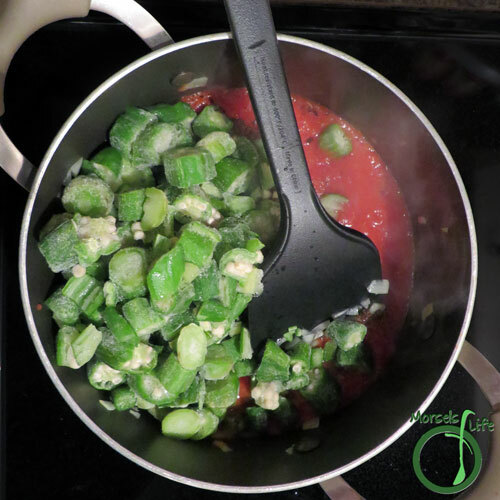 Do you like your okra thick and slimy or do you prefer to cook the slime out? 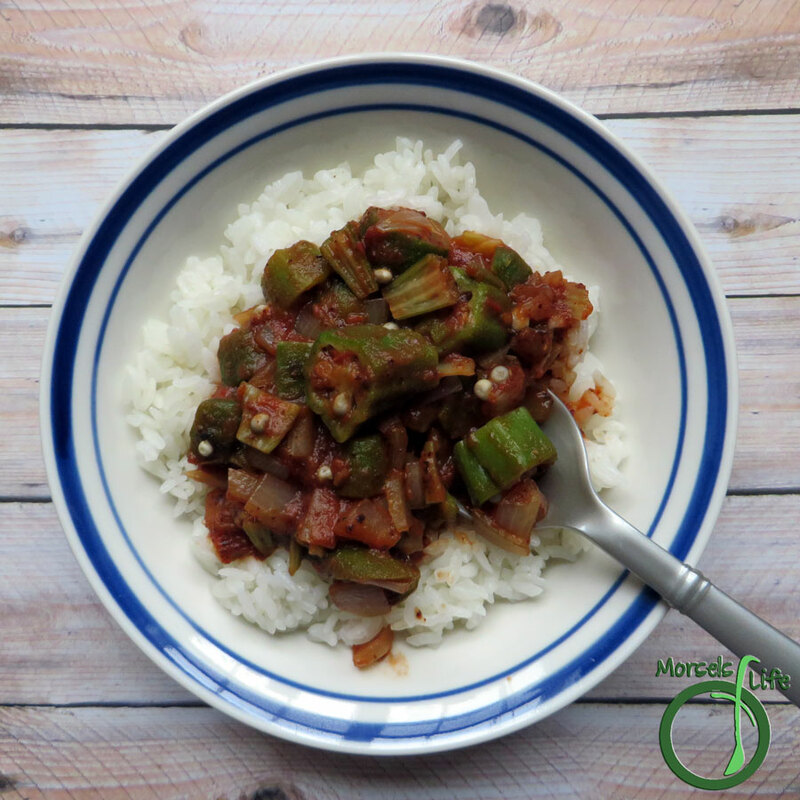 Okra, sliced and then simmered with tomatoes and onions for a Spanish Okra. Chili powder gives this dish an extra kick! 421 grams 14 ounces 4 cups okra, sliced Fresh or frozen both work. I used frozen. 2. Combine all materials, and cook until okra heated through. This looks so easy and sooo good! Thanks for sharing the recipe! That's how I like my recipes - simple and yummy. :) Hope you enjoy! 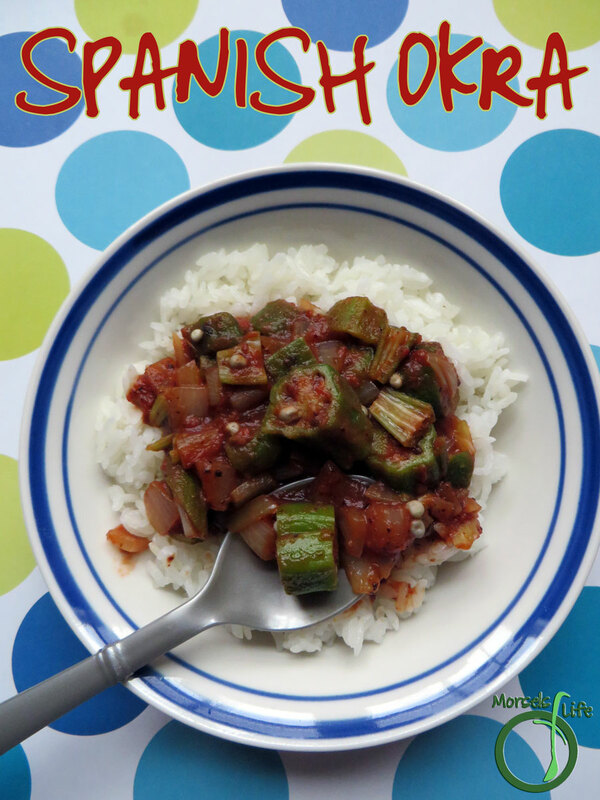 This okra looks great! I usually like it extra crispy but I think I'll try it this way next time. Thanks for sharing at Inspiration Thursday! Hope to see you again this week.